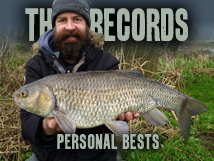 Within a second of his first cast Dan was hooked up, he didn't have time to put his rod down, the barbel must have grabbed the SB4 on the drop... Great fight and a 7lb 3oz barbel was in the net... That's the way to do it, none of this waiting hours for a bite! When he put it back it kicked out, then turned over and floated, disaster! Dan waded out and grabbed it. After holding it in the water for a while it swam away strongly, but our time was now limited. It wasn't cold but with wet feet and jeans he wasn't going to last long... We stuck it out until sunset in the rain but no more bites... Time for a quick pint in a nice warm pub! On Monday I was supposed to go barbel fishing with Darren, but I couldn't escape from work. 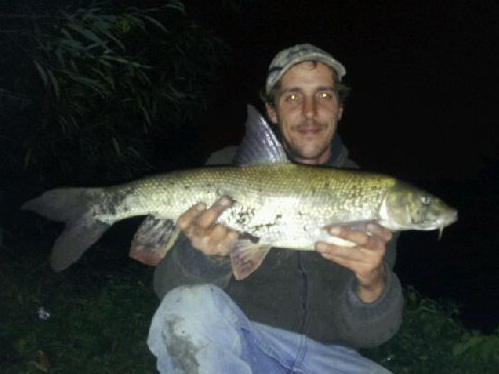 Darren landed a 6lb 14oz barbel and lost a second fish, good news - they are still feeding. So on Tuesday I went out for a couple of hours to see if I could find one. I didn't find a barbel but had a nice eel, easily over 2lb but unfortunately I managed to drop it back in trying to weigh it - stupid mistake! 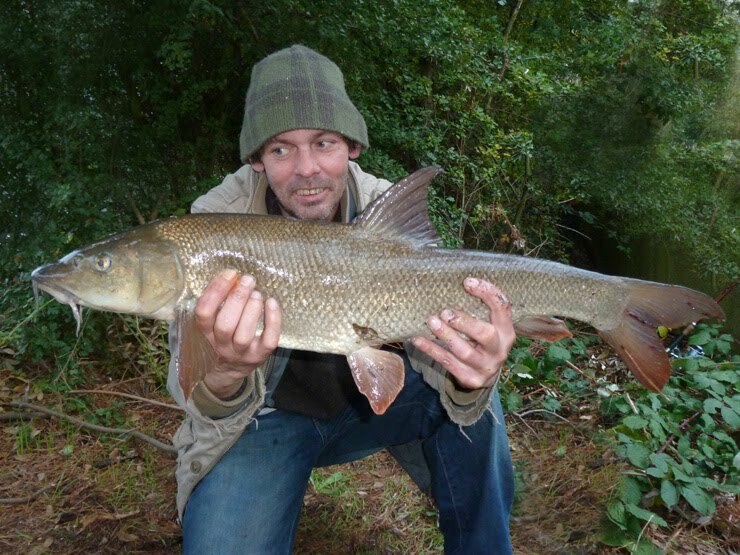 Both me and Dan seem to turning into carp anglers - we're not after carp - but in this photo and my last barbel photo we are looking at the fish not the camera - carp styley! Dropped the Eel in, stupid boy pike! Nothing wrong in a Pint! Becoming regulars at the Standard, often trudging in wet and covered with mud - but the landlord always asks if we've caught anything.